In my home I am obsessed with great smells. I feel the thing that completes a home is candles. They are like the final touch. How I take care of my place really means a lot to me. My house is the place I come home to and I want to be proud of it. 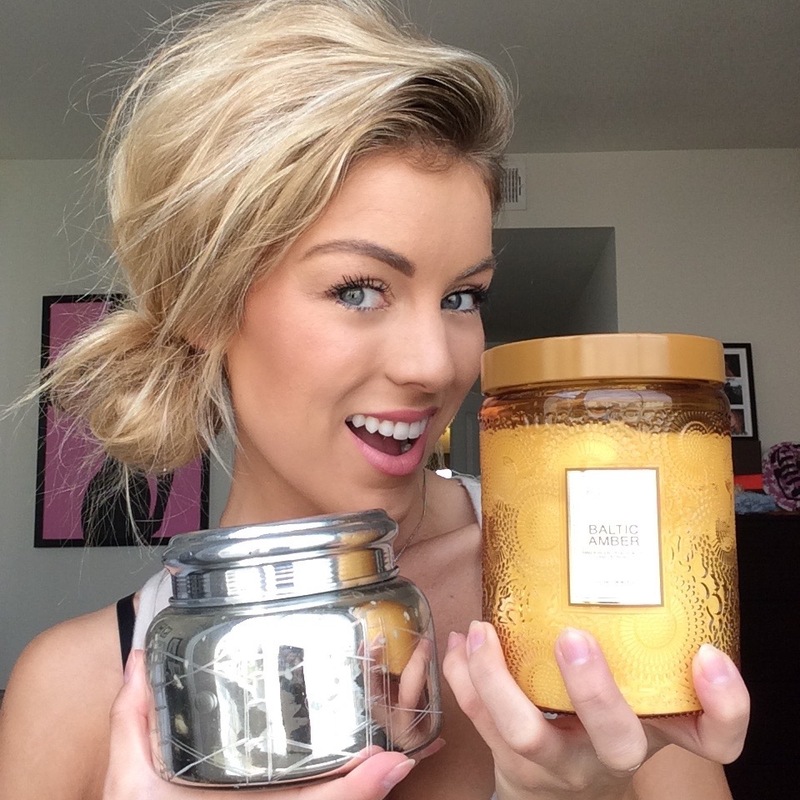 I find candles many places… of course my go to’s are Marshall’s, T.J.Maxx, or Ross. You can always find great brands like Yankee Candles there but this time I splurged a little… or a lot!! I like to alternate so I always have the best mixture of brands and candles. How can you resist anything from Anthroplogie??? Personally… I have a hard time. I was in need of candles so I gave in. The two I brought home are my new favorites. One is the perfect end of summer scent and the other is gonna be burning all through fall! 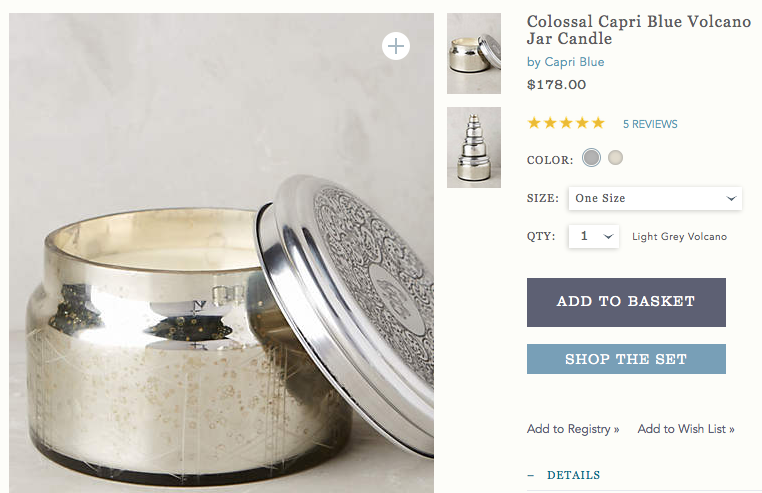 The Colossal Capri Blue Volcano Jar Candle is the classic scent Anthroplogie. This is the actual scent they burn in the store. So I already knew I loved it. The Volcano candle has notes of “tropical fruits, sugared oranges, lemons, and limes, redolent with lightly exotic mountain greens”. 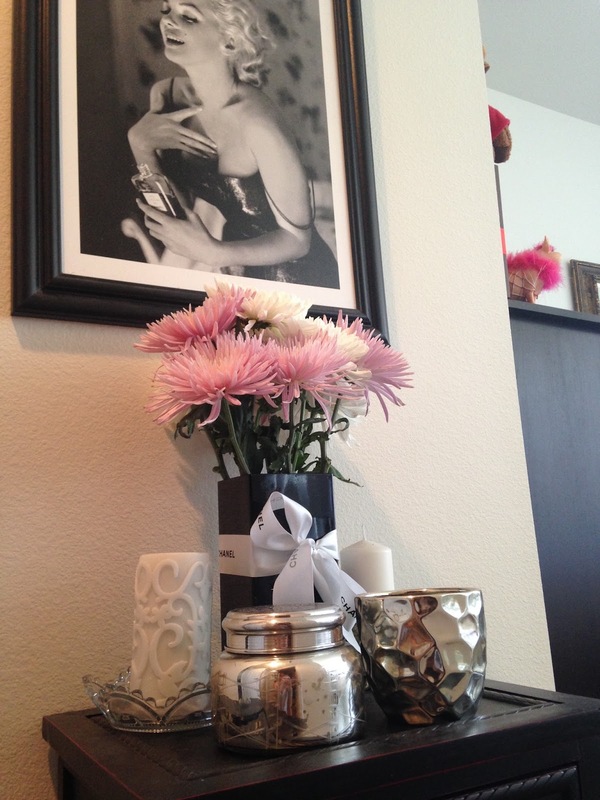 The simple silver jar is perfect and fits right in with room. I’m excited to add it to my decor. I also loved how on anthroplogie.com it gives the details of the origin of the candles and its makers. “In Mississippi, the artisans of Capri Blue honor the traditions of candle-makers from generations past by hand-pouring their signature soy wax blends into recycled glass vessels. Each clean-burning formula absorbs more fragrance oil than any other natural wax candle, and lasts twice as long”. 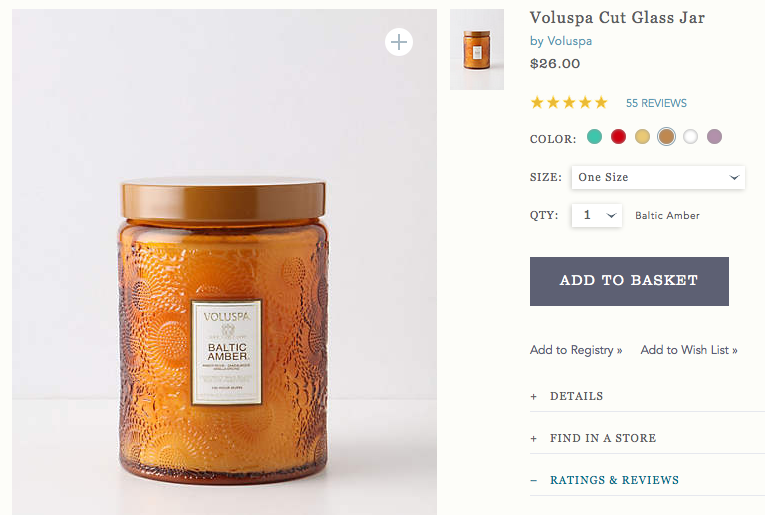 The second candles I treated myself to was the Voluspa Cut Glass Jar. 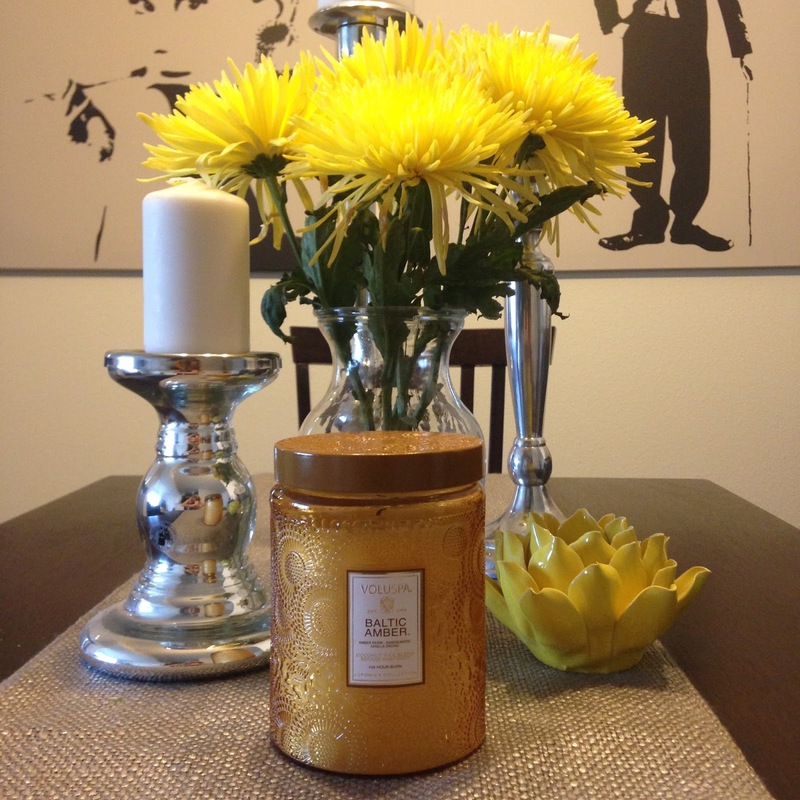 I have loved this brand for years… their candles never disappoint. The Baltic Amber was no different. In fact I think this is my favorite scent by Voluspa so far. I am so fond of the “forest scents of sandalwood and cedar” that this candles possess. So warm, buttery and woodsy. Very happy with this purchase. And…. here are the details I pulled from anthroplogie.com about the creators of Voluspa. “Over ten years ago, husband and wife team Troy and Traci Arntsen began creating scented candles right in their home kitchen. Today, the couple own and operate Voluspa, an internationally renowned home fragrance label beloved for their signature coconut wax blends and luxurious packaging. Here, etched glass and warm, alluring scents fill the room with an aromatic glow. Gift to your dearest gal pal or a hard-to-please hostess”. I really am happy with my new candles. If you loves have any favorite candles or scents please comment and share them with me so I can try them out!